Would be cool if you did a version that add creatures to the game, and you could create your own templates in an editor, as in Spore. 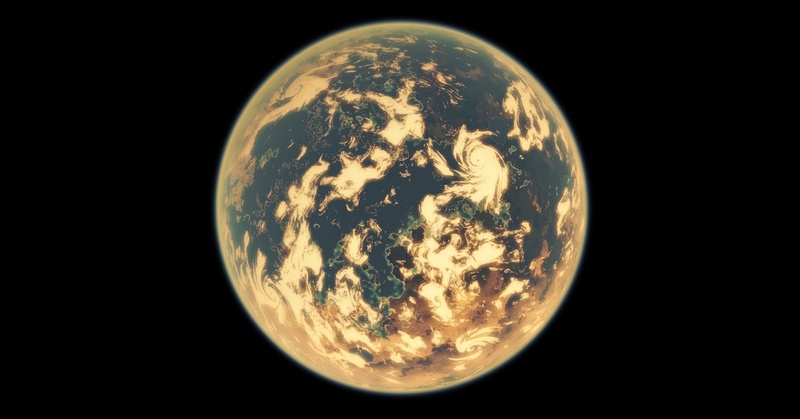 It'd be interesting if animal & plant features could be seeded according to planet features, and there's a grammar of features that are modulated (body size & shape, length of legs relative to body, type & color of skin covering, etc), by things like atmosphere CO2 & O2 levels, gravity, local temperature & variation, solar radiation, etc (all the stuff you read in astrobiology books), and some seeded random variation, which fits with the template idea. And then the animals could be like models in Grand Theft Auto or Minecraft, animal & plant models are locally spawned by ecosystem & simple conditions like time of day. They don't have much interaction or thinking, very simple paths, animations, & reactions so they don't take up much resources. Rather than a full-on simulated ecosystem, there could be some rough statistical features... like a proportion between spawned predators & prey, and predators will chase after prey when they see them. Things like that. If that much gets in, then a next step would be simple fishing, hunting & flee behavior. It'd be the groundwork for some survival sim elements. I like the idea of Animals in Space Engine very much. But even static creatures would be cool. Because the creation of animations for random creatures might be to complicated. What might be hard is to see relations between the animals, to make them look like products of evolution. One of the biggest weak points of spore was, that one one planet there was a really big amount of different body plans but they didn't seem to be related. On our world, all vertebrates have four legs, a mouth which consists of two jawbones. On another planet there might be creatures that have let's say 8 legs and some kind of a trunk. I think that would mean that there is a basic body plan created for each biosphere and then there are lets say 100 creatures with different body parts (carnivore, herbivore, small, big, etc.) that follow this plan. On our world, all vertebrates have four legs, a mouth which consists of two jawbones. Incorrect. There are vertebrates without limbs or jaws. I think this idea is fantastic. It would add a completely new aspect to the game. People could specialize as zoologists, biologists...it goes on and on. Merely creating that part of the game would be tough though, I'd imagine. 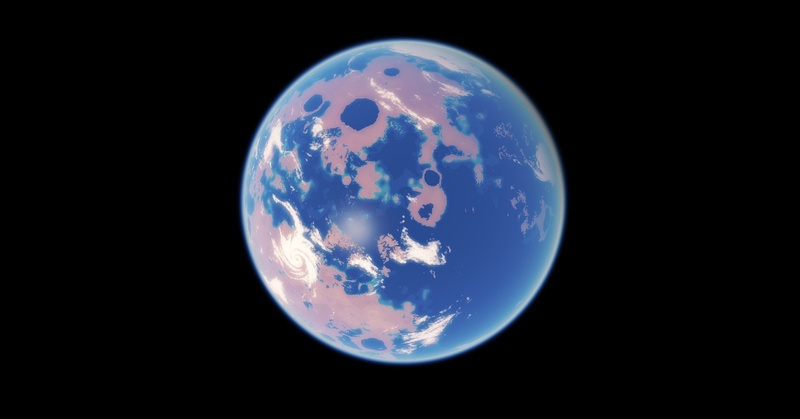 Excuse my ignorance: at the moment in version 0.9.2, if a planet harbors life (according to it's description in the top-left corner), does this have any in-game effect on the planet? I believe it stands a chance of having vegetation texture mapping applied. If you notice, the planets will be partly colored in green, purple, etc signifying plant life. Also, the water color can change (but this can happen on planets without life, too). does this have any in-game effect on the planet? Yes, it changes the appearance of the planet to show that it has life (modifies the surface accordingly to be covered by "plants" of an appropriate color). Ah, I see... There's a significant difference in appearance! Thanks for enlightening me. Thank you! Now, I can laugh for the rest of the week! Another aspect might be that of having the pleasure of watching life evolve if you speed up time. But the calculations of that kind of thing...er... boggle my mind. I also imagine that, approaching something that does not appear to be alive from a distance, then finding out that it suddenly animates upon closer inspection, would be lots of fun. It would certainly make exploration more lively. "Um... that's not grass you're standing on..."
Well... watching life to evolve would take millions of years, I don't think that such time speed up is supported in the SE engine... and it would be unrealistic. I think 3D modeled animals would be awesome, but should probably be one of the last things on the priority list. It'd be a lot of work and there are lower-hanging fruit that would be much easier to do with just as much (if not more) impact. For example, in terms of procedural generation, vegetation is probably fairly easy and offers a very broad range of shapes and sizes to play with. Trees, grasses, mosses, lichens, balloons on tether-stems, feathery crystalline structures in the deep dark vacuum of an ice world, masses of floating kelp, etc., can all be done with fairly simple variable rules and models. And it'd be not much harder to rig them up to sway in the wind (if any wind is present), giving a much livelier feel to life-bearing worlds on a small scale. On the other end of the spectrum, procedurally-generated civilizations could be done without need for modeling the aliens themselves and still be very satisfying. A textual description of their extent and history, city lights and agricultural textures applied to planet surfaces, maybe even simple models for structures and space stations (these would be easy in the same way that vegetation is, you don't need to worry about how they move or function in detail. They'd just be exotic sculptures, essentially). Does anyone know what the plans are for how the Fermi paradox will be resolved in this game's setting? The universe could be littered with the ruins of billion-year-dead civilizations and the occasional hermit civilization that has been satisfied with their homeworld for millions of years (and is happy to trade knowledge with any wanderers who stop by or is violently xenophobic toward them, either way is fun ). Once all that's in the game I can see myself being quite happy with the exploration options available. Physically modeled alien creatures would be icing on the cake. Physically modeled alien creatures would be icing on the cake. Try to bake foods in different areas of SE. On a gas giant, in a star, orbiting a black hole or neck deep in methane ocean. Do you have what it takes... to bake a cake. ...What did I just post?